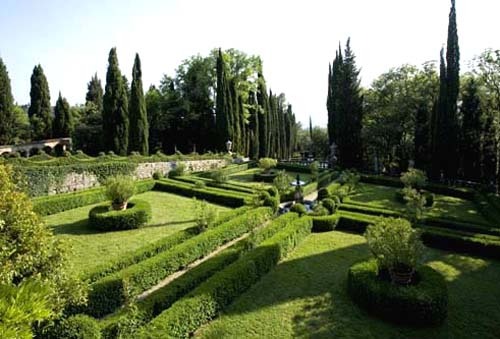 The Garden and Landscape Design School was founded in 2008 and is situated in Villa Peyron al Bosco di Fontelucente, in Fiesole - Florence. Lessons are held at Villa Peyron itself, at Villa Bardini and in chosen gardens in Tuscany. The school offers both practical and theoretical courses, both short- and medium-term, addressed to those who would like to begin or continue their studies of a determinate subject in the fast field of the garden and the landscape. The school also organises very short-term courses where, during a day or two, students may examine a specific topic, such as olive pruning or grape harvest. Besides these courses, the school also offers, from April to October, a wide array of visits where participants, guided by an expert, will be able to examine a garden, a villa or another place of interest in Florence and Tuscany. Some of these visits coincide with concerts or with special events, such as the grape harvest or the presentation of the year's production of olive oil. The school is open all year round to Italian and foreign students that would like to follow a garden design programme or an landscape architecture course. The school is also open to those who would are interested in the practical aspects of gardening and cultivation, such as the care of olives, the trimming of roses or vine growing.